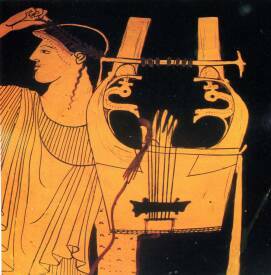 I am not sure what Boethius was referring to by Musica divina, but in this world J.S. Bach's music is as close as music comes to the divina. When we are young the passion of Verdi, Mozart, and Wagner, (Musica mundana?) is thrilling and relevant to life in full bloom, but growing older we turn more to the music of Bach. Changing taste and appreciation of more complex and intellectual music is not a linear progression, some music we once passed over can and does reach forward and touch our sensibilities. Boethius explanation of time, God sees all things as humans see the present, is a workable metaphor on how we might apprehend our own lives from the vantage point of old age. Not that some music remains relevant while other pieces fade away, but some pieces coincide with various aspects of the mature (decaying?) personality. Who or what we finally become can be described, or traced, by the music we most appreciate towards the end of act four. So here are ten pieces of exquisite music that correlate with the ten most salient aspects of one personality; a personality nurtured in the upper South and which spans the time period of roughly the 1930's through the first decades of the 21st century. The romance of the cowboy seeped into the psyche of almost all boys growing up in the 1940's. Admission to the movies was only twelve cents and there was a Western almost every Saturday. The Burl Ives ballad perfectly encapsulates the dusty seasoning of the American spirit by the Western. Actual heroes for those of us were the relatives and neighbors returning from WWII. Their stories of Europe and the Pacific just made our jaws drop: "He flew his plane into a cloud with a rock in it." "We think the Japanese beheaded him." Although there were many great American songs, these two British ones are at the top of all serious lists of memorable songs of the era. When the testosterone begins to flow the libido is activated, boys fall in love with the Great She, in any number of her manifestations. Looking back, this song captures the mushy messy feeling of the 1950's, even though the song did not become popular until the 1960's. Military service, college, economic necessity, or luck often kept young hearts and bodies apart and inspired, letters, late night phone calls, and bad poetry. Sometimes the letters included a heavenly dose of perfume. And then she is gone.. Crying, by K. D. Lang. Friendships bind us together; if you are lucky, for a lifetime. Beethoven said humans had worth, because they formed lasting friendships. He certainly had a point. Seldom do music, literature, and film come together in such a bitter-sweet blend that the result is almost unbearable. The talents of Luchino Visconti, Thomas Mann, and Gustav Mahler are thus so woven in the film Death in Venice. I have heard it said that life is what happens while you are waiting for your plans to work out. However a life unfolds or is planned, plain ole good luck is impossible to beat...and so is Anne Sofie. Richard Strauss completed The Four Last Songs when he was 84. He turned a life time of experience and memories into high art. After all, a wisp might linger. 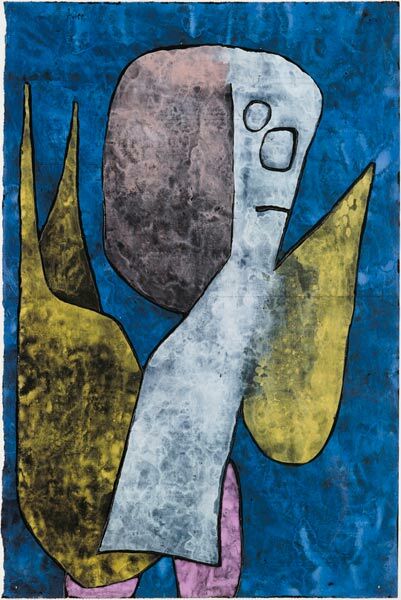 In 1939, the year before his death Paul Klee created "Poor Angel".